Description: This detail of a 1827 map shows major rivers, lakes, coastal features, settlements, and roads in Monroe County. The county is crossed by many waterways including the Caloosahatchee River, the Youngs River, and Gallivans Creek. 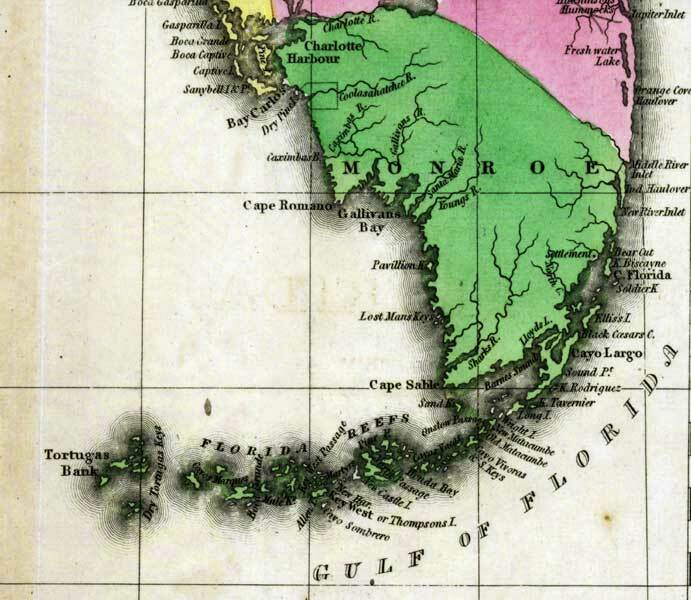 The coast line features the Florida Keys, Gallivans Bay, Cape Sable, and the Dry Tortugas. Sections of proposed shipping canals are also shown.